Philosophy for busy people. Listen to this succinct account of the philosophy of Wittgenstein in just one hour. 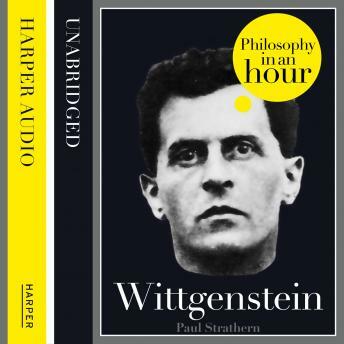 Wittgenstein: Philosophy in an Hour is an audiobook showcasing an expert account of Wittgenstein's life and philosophical ideas - entertainingly written and above all easy to listen to. Also included are selections from his work, suggested further reading and chronologies that place Wittgenstein in the context of the broader scheme of philosophy.